Can you spot Boman Irani and Ratan Tata? About 206km north of Mumbai on the NH8 to Agra is the sleepy town of Udvada on Gujarat’s palm-fringed southwest coast. It is to Zoroastrians what Vatican City is to Catholics. The holiest of holies. Not the town itself as much as the Iranshah Atashbehram which stands monument-like at the heart of Udvada. It is one of the oldest and most important spiritual centres for Zoroastrians in the world. They are a fire-worshipping people. And the Iranshah is a fire temple. It is where the holy fire that was consecrated in 1742 when the Zoroastrians came to India to escape religious persecution in Persia is still burning. I understand that Zoroastrians living in Yezd and Homuz in Iran make pilgrimages to Udvada to pay homage at the Iranshah even today. I visited Udvada one Navroze out of curiosity. Navroze is the dawn of the spring equinox, when the sun crosses the celestial equator, signifying the passage of winter and onset of summer. It always falls in March. This year the festival is being celebrated today, starting at 3.58 o’clock and 40 seconds. Not just by the Zoroastrians of India, but also those of the faith in Iran, Iraq, Afghanistan, Turkey, Azerbaijan, Turkmenistan, Tajikistan and Uzbekistan. Udvada is a four-hour drive from Mumbai, most of it on appalling, bone-jarring roads. Finding a place to stay is easier. The pilgrims can choose from a number of inexpensive dharamshalas in the coastal town. These are all located in the Udvada village that is huddled around the Iranshah. I stayed at a friend’s bungalow on Udvada beach. It is a dirty beach with a dark and forbidding sea on whose waves, I am told, smugglers come riding at night with liquor from the duty free union territory of Daman a few nautical miles away. Udvada, like the rest of Gujarat, is under prohibition. But the Zoroastrians there down their Parsi pegs at night with grateful thanks to the friendly neighbourhood smuggler. If Narendra Modi did not change the prohibition rule when he was Chief Minister of Gujarat for two terms, he won’t do it now as Prime Minister. Visitors who are non-Zoroastrian and who do not enjoy local patronage like I did, can stay at Percy Sidhwa’s Globe Hotel, the Mek Hotel or Ashsisvang Hotel, all of which are simple and friendly. The weekend I was there, Navroze fell on a Sunday. I explored the entire town the Saturday before in one hour flat. Udvada is in a sorry state of neglect. A lack of money and soul has reduced it to a decrepit pilgrim centre Zoroastrians visit only occasionally. But yet it has a certain charm, with its crumbling old houses. Some have been sold, others pulled down and replaced by modern structures that look incongruous in the old township with their modern, indifferent architecture. It appears nobody wants to stay in Udvada anymore. Except the old and original residents who have nowhere else to go. They are a quaint people whose children left them to go to colleges in cities and jobs abroad. And now their grandchildren come visiting Udvada like the rest of the Zoroastrians do, on an annual pilgrimage. Click Here for an interesting essay with some exotic pics! Udwada’s life style on 14th December 2010. Udwda is the holy place of Parsi religion. As I try extending to you the Zoroastrian New Year Greetings, The Earth is spinning towards the Spring Equinox, the Moment of NOWRUZ, an appropriate time to share with you, this link to a beautiful multimedia show on YouTube, “The Rites of Spring” created by Niloufar Talebi, that, I’m sure every Zarathushti would enjoy. Though she starts of in Farsi, the explanation in English follows, 60 seconds later. Have a blessed NOW RUZ. 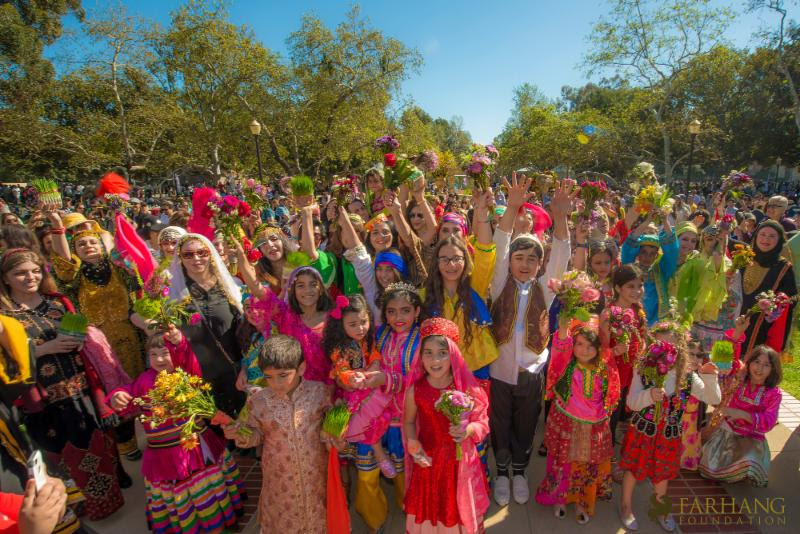 People from diverse communities have celebrated NOWRUZ for thousands of years. It is celebrated as a secular holiday in many countries by people of different faiths. But NOWRUZ has a special significance for Zarathushtis. 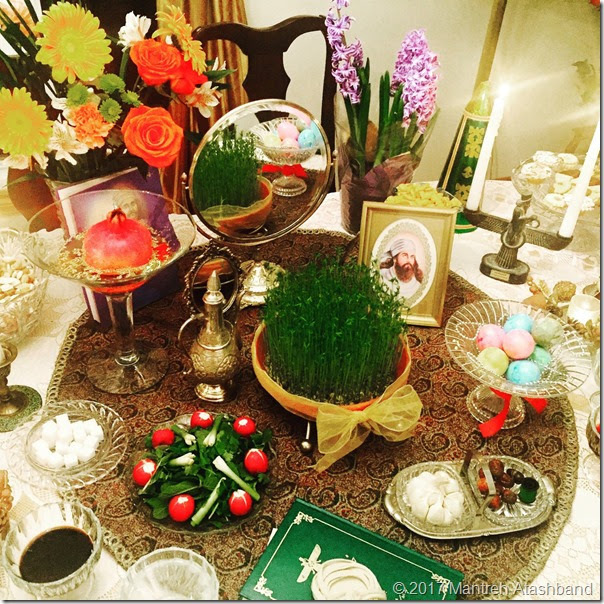 With its Zarathushti origins, Nowruz is our New Year. I take this opportunity to wish all North American Zarathushtis and Zarathushtis of the world NOWRUZ PIROOZ and NOWRUZ MUBARAK. May Ahura Mazda shower us all with HIS choicest Blessings to follow the path of Righteousness. Hama Zor, Hama Asho Bade! May we be united in Righteousness! 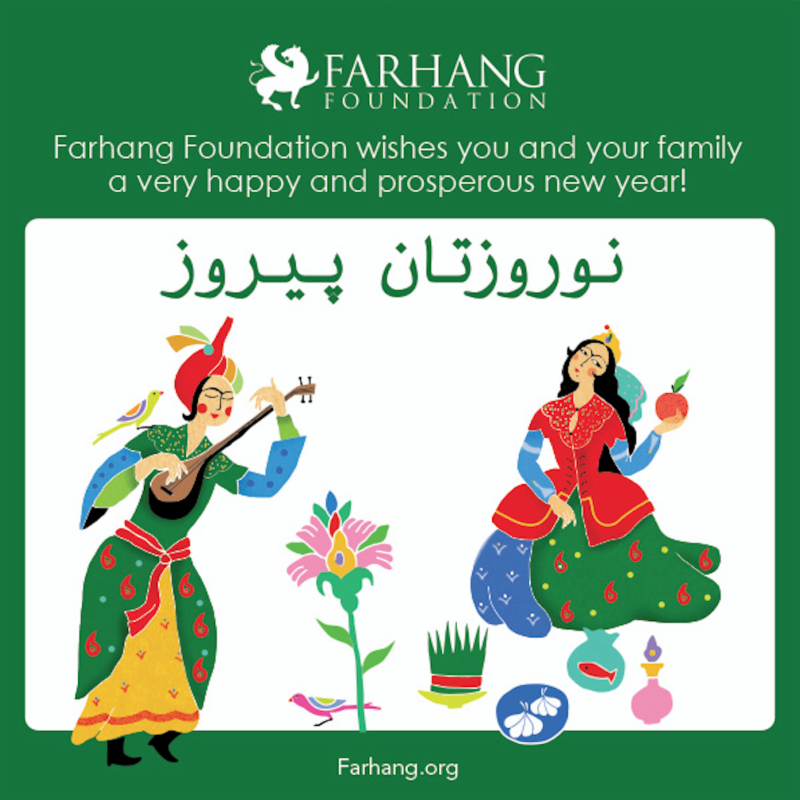 Burr Ridge, Illinois, March 13, 2017 – FEZANA (www.fezana.org), the Federation of Zoroastrian Associations of North America, today announced Zoroastrian organizations throughout North America will mark the celebration of Nowruz (pron. nouˈɾuːz), Tuesday, March 21, 2017, the official turn of the Zoroastrian New Year and the Spring equinox in the Northern hemisphere. 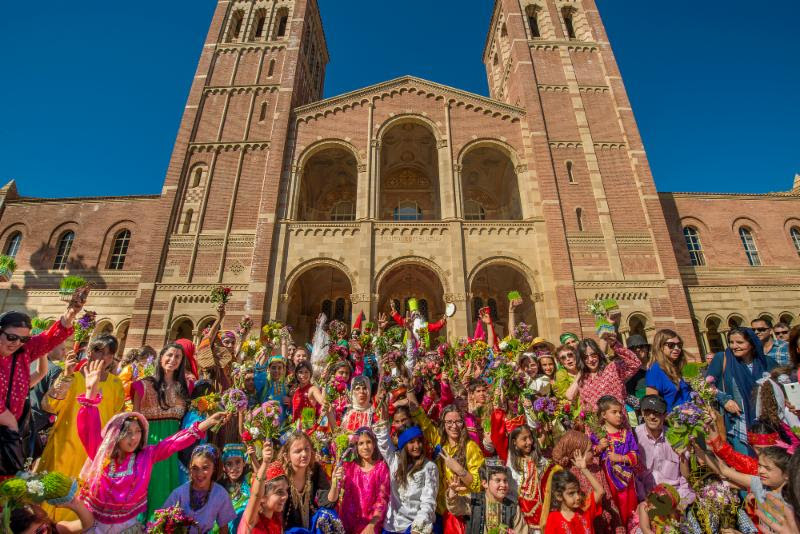 Zoroastrian associations throughout North America will celebrate Nowruz with prayer ceremonies, participation in Nowruz parades, museum exhibits, tree plantings, social gatherings and, most unique to Nowruz, by decorating beautiful Haft Senee1 (seven trays) tables at home with traditional Nowruz symbols. Zoroastrians are followers of one of the world’s oldest monotheistic religions founded by the prophet Zarathushtra approximately 3,755 years ago in ancient Iran. Zoroastrians have long-served as bridge builders in interfaith dialogue, believing in truth, righteousness, charity, beneficence, respect for the environment and the ultimate triumph of good over evil. Zoroastrianism, founded circa 1738 BCE, is credited to be one of the oldest monotheistic religions. Zoroastrianism flourished as the imperial religion of three Persian empires, those of the Achaemenians, Parthians and Sassanians, and was the dominant religion from Turkey, and eastward to China during those times. North America’s Zoroastrian community includes those who arrived from the Indian subcontinent, known as Parsis, and those who came directly from Iran seeking religious freedom. 7- AHURA-MAZDA – The Creator of Wisdom – Khod Ah through Self Realization- KHOD = Self AH = to come. After the long, dark, winter days, spring is literally a breath of fresh air. The snow is melting, flowers are blooming, and the days are getting warmer. Marking the first day of spring and the beginning of a new year is one of Azerbaijan’s most colorful holidays. Being a family holiday, Novruz is celebrated on March 20-21. But, it all begins four weeks before the actual festivities. Every Tuesday night, small bonfires are prepared outside which everyone jumps over, expressing wishes for a good and happy year without grief or pain. 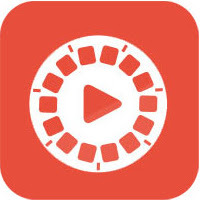 Each of the four Tuesdays is represented by its own symbol: the first one is water, the second is flame, the third is earth, and the fourth is wind. The water renews nature, refreshing it and preparing it for the new year. Fire signifies rebirth; earth signifies the revival of the earth; and wind represents the arrival of spring and the blossoming of trees. Noruz is rich with ancient traditions and games. ‘Khidir Ilyas’ (the symbol of fertility and blossom), ‘Kos-Kosa’— an entertaining game (symbolises the incoming of spring) and fortunetelling are among them. The important Novruz symbols are khoncha (a tray with sweets, nuts fruits and dyed eggs on) and samani( green shoots from wheat seeds). The holiday was given the status of an official holiday in Azerbaijan by a presidential decree dated 13 March 1990. In 2009, Novruz was included in the UNESCO Representative List of the Intangible Cultural Heritage of Humanity and since then,March 21 was declared the International Day of Novruz. Traditionally Novruz is marked in Azerbaijan with the annual festival, “Maidan Bazaar” set up near the Gosha Gala Gates for several days. Here, Baku residents and guests enjoy many interesting events, including the performance of wrestlers – Pehlevans , rope-walkers and magicians, as well as artists of the children’s theater. 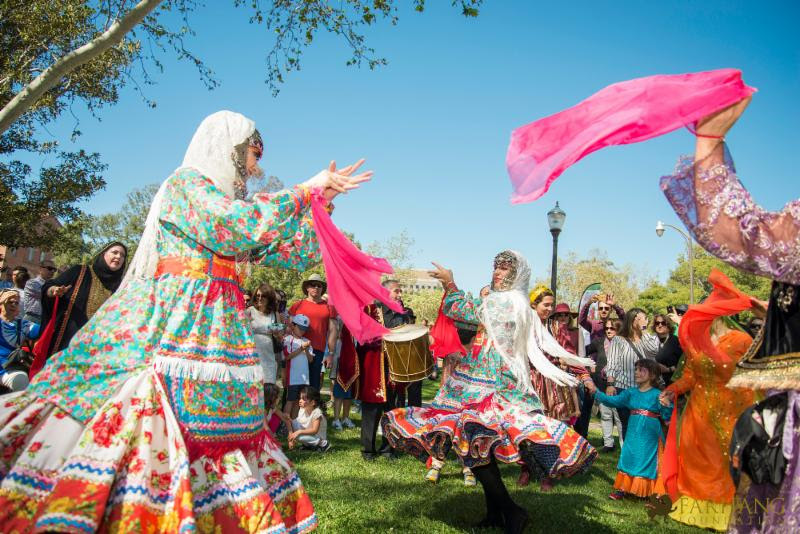 During the festivities, the visitors will enjoy mugham and classical music pieces, national songs of different nations, modern pop and jazz music. Besides, the participants will be able to cook national sweets or wave carpets. This year, Nizami Cinema Center invites everyone to enjoy also festivity scheduled for March 18-19. During the festivity, visitors will enjoy beautiful dances, funny games and other surprises. Young viewers will meet with beloved Novruz characters- Kechel, Kosa and Bahar gizi (Spring girl).